Out of question. Screen resolution is different. Very good FHD Resolution 1080 x 1920 pixels, 16:9 ratio and very high ~428 ppi density. Only shorter than Samsung A9. 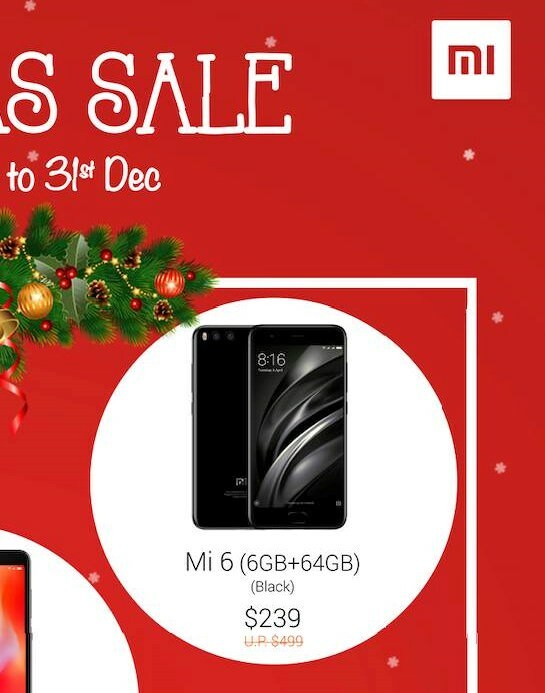 Thanks ,just hooted the Mi6 at Suntec City Mi store at $249. Receive it in the email. check your email or spam, it's a voucher code given in email, not appearing at lazada website or app itself. Hey, how come it's $249? Where to get $239? Last edited by xiaonajia; 27-11-2018 at 02:36 AM..
Oops it’s $239 but I type wrongly..
Really depends on what u need it for. I spent it all on buying diapers for my child. How much u willing to offload for? 16% off ($25). Would you like to use mine to buy diapers for your child? Anyone using the phone for the past few weeks and any reviews? I gave the one i got to my dad after trying it out for 1 day. Unsure if i should get myself this phone too.